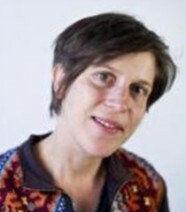 Marieke Huysentruyt is an Assistant Professor at the Stockholm School of Economics (SITE), Faculty Fellow at HEC Paris (Social Business Chair), and academic affiliate at ideas42. She holds an M.Sc. in Bio-engineering from Catholic University of Leuven, a M.Sc. in Applied Economics and Management from Cornell, and a Ph.D. in Economics from the London School of Economics (LSE). Prior to joining the Stockholm School of Economics, she was a Lecturer at LSE, teaching on the Master of Public Administration Program.